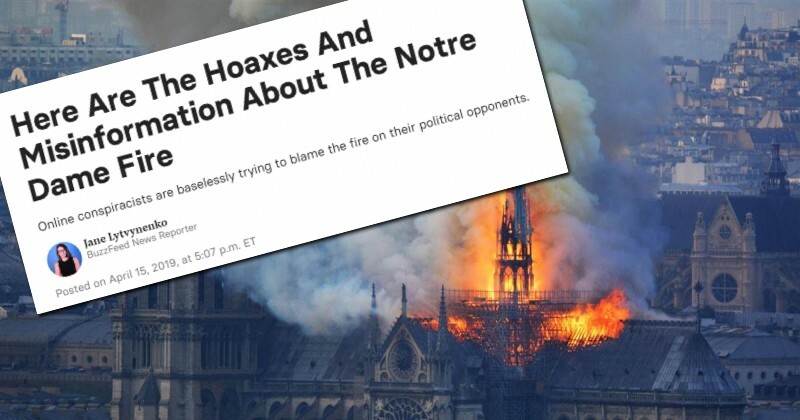 BuzzFeed lied about the reaction to the Notre Dame fire by claiming that a perfectly legitimate video showing respondents posting smiley emoticons in response to the blaze was a ‘hoax’. This is an outright lie. The video in question does show what people on Facebook were reacting to. Here’s the video I posted. And here’s the original Facebook video. As you can see from the original, the respondents are clearly reacting to the Notre Dame fire. Here’s a screenshot of the ‘smiley face’ responses as they still exist on the original video. By claiming this to be a “hoax,” BuzzFeed is itself perpetrating a hoax. Apparently, Lytvynenko thinks that placing a yellow ‘NOPE’ sticker across the tweet invalidates its accuracy. It doesn’t. BuzzFeed’s Ryan Broderick also lied in claiming the video was “sourceless”. It wasn’t sourceless. The source is the embedded original Facebook video above. 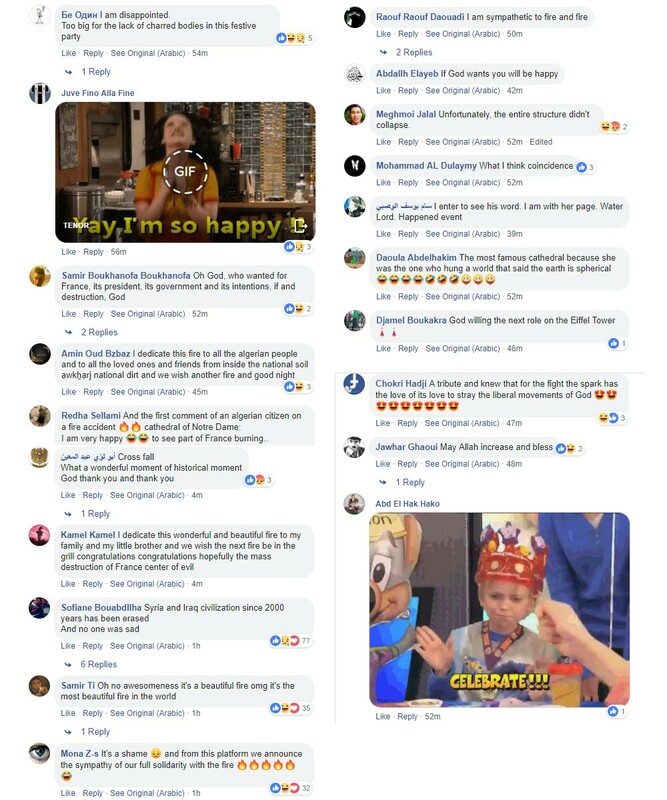 In addition, France 24 Arabic’s Facebook page is awash with comments from respondents writing in Arabic celebrating the fire, as can be seen from the screenshot below. I gathered these comments from just two threads out of numerous threads on the fire. Does this mean all Muslims are celebrating the fire? No. Does it mean BuzzFeed is lying when they claim I am inventing this reaction? Instead of denouncing this vile rhetoric, BuzzFeed is claiming I made it up. This is why fewer people trust the media. This is why BuzzFeed is having to lay off staff. The invent outright falsehoods without conducting any proper research in order to demonize their ideological enemies.